Are you interested in booking a meeting room on an ad hoc or regular basis? We have 4 rooms and the main coffee shop that are available to rent. All the rooms are on the ground floor with access to the coffee shop and disabled toilets. The ideal room for business meetings, with audio visual facility via the overhead projector and large drop down screen. The room will comfortably accommodate a boardroom style set up for 25 people or 38 people in cinema style. Formal meetings can easily be held for 16 people in boardroom style setting or 25 in cinema style, the room also makes a good small meeting room. This room is primarily available to local individuals offering therapy services to the community. 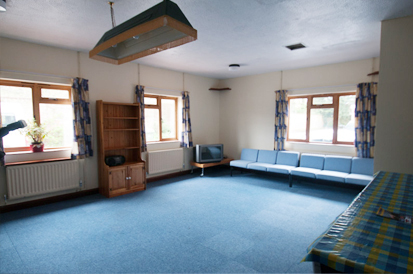 The facilities include a hand basin, therapy couch and central heating. The room can also be used for private counselling sessions or small intimate meetings (maximum of 6 people seated boardroom style). The less formal Lounge space easily accommodates 20 people boardroom style or around 40 seated cinema style. A kitchenette with fridge, kettle & crockery allows hirers of the room to be self-sufficient in the provision of refreshments. 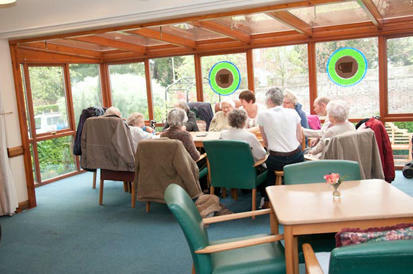 The Lounge is also the perfect setting for small parties easily accommodating up 40 people. The added bonus of this room are the dividing doors between the Lounge and Coffee Shop, which open up to offer the expanse of the two areas. The combined space will easily accommodate a seminar style meeting for up to 60 people, and can also provide an ideal setting for formal or informal dining for up to 80 people, perfect for parties, wedding receptions or informal get-togethers. 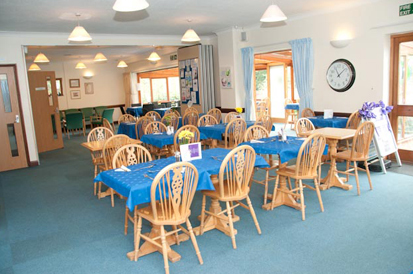 Having the on site Coffee Shop means catering for any function held at The Village Centre is hassle free! The experience of our staff allows us flexibility to professionally fulfil any catering requests. Please contact us for one of our sample catering packs if you would like more information.